The Bois-Franc neighborhood in Saint-Laurent has only continued to grow in recent years. On top of enjoying the neighborhood’s many green spaces, Bois-Franc residents can also take advantage of numerous local shops and services. Accessibility is at the heart of the neighborhood. Bois-Franc was thoughtfully designed to offer a high quality of life to its residents with its walking-distance businesses and public transportation – notably the RTM Bois-Franc train station and the future REM light-rail station. 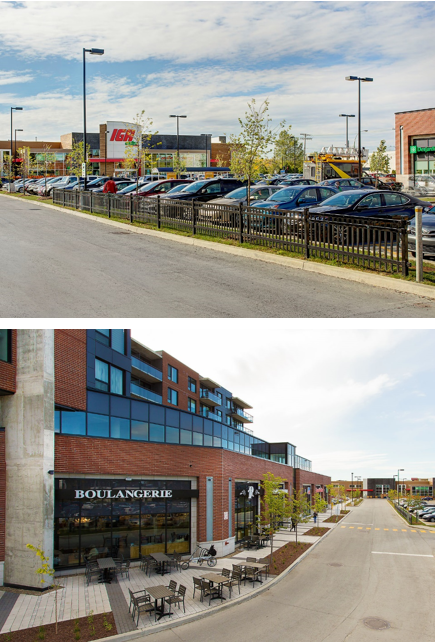 Two main commercial centres serve the Bois-Franc neighborhood: La Grand-Place, located on rue des Nations, and the Faubourg Bois-Franc, located near the Henri-Bourassa and Marcel-Laurin intersection. 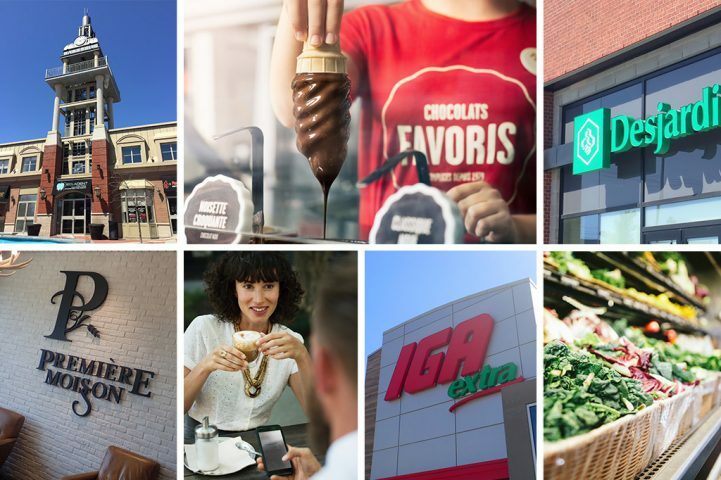 Whether you’re on the hunt for a restaurant, pharmacy, grocery store or any other service, you’ll find it in Bois-Franc – the neighborhood offers many options to its residents as well as those passing through the area. La Grand-Place has a prime location in the middle of Bois-Franc. All of the main streets lead to La Grand-Place. Its shops and businesses answer everyday needs and surround a leisure area where you’ll find terraces, benches and a water fountain – the perfect meeting place for residents. Near the the Henri-Bourassa and Marcel-Laurin intersection is the Faubourg Bois-Franc, an important commercial centre for neighborhood residents. There you’ll find all key services: a grocery store, pharmacy, financial services, health care services, daycare, café, restaurants and much more. > Discover our townhouses and condos in the Bois-Franc neighborhood.